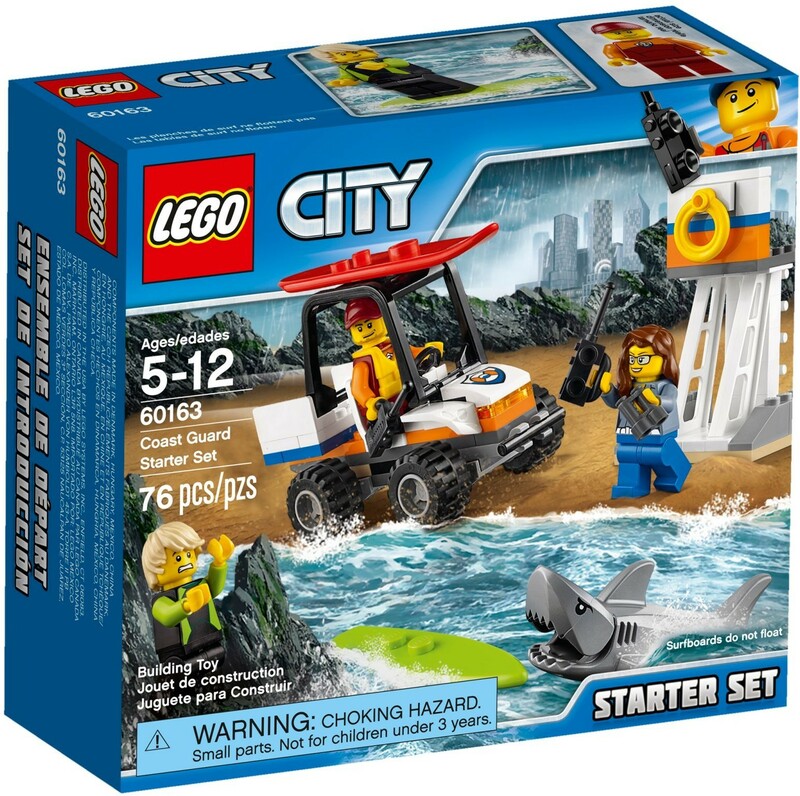 Join the crew of the LEGO® City coast guard as they protect the beach with the Coast Guard Starter Set, featuring a beach tower with stairs and viewing platform, beach buggy with opening roll cage, room for 2 minifigures and space for the 2-minifigure surfboard on the roof, binoculars, 2 walkie-talkies and a small surfboard. 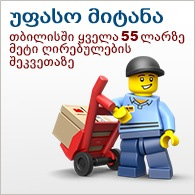 Includes 3 minifigures and a shark figure. 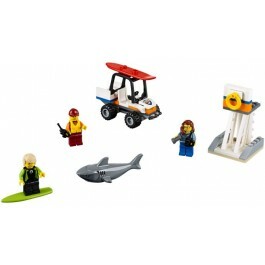 Includes 3 minifigures: a lifeguard, surfer and an ATV driver, plus a shark figure. 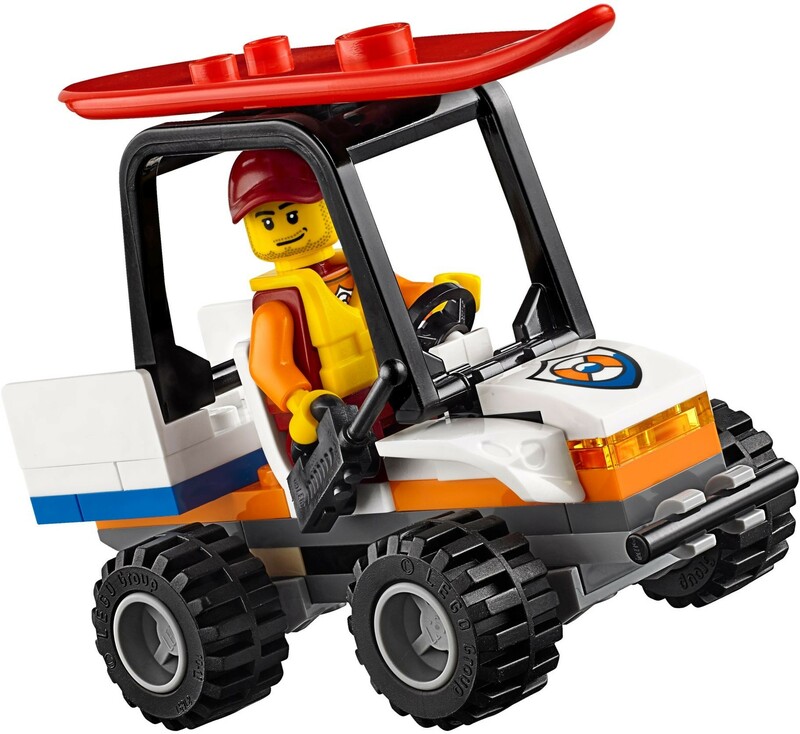 Features a beach buggy with opening roll cage, detachable 2-minifigure surfboard on top and space for 2 minifigures. Also includes a beach tower with stairs and viewing platform. Call for help from the beach tower to rescue the surfer. Open the shark’s mouth to try and take a bite of the surfboard. Hop on the big surfboard and head out to rescue the stranded surfer before the shark gets any closer. 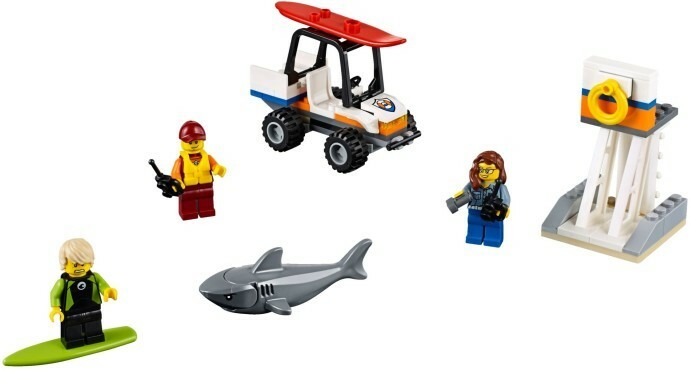 Accessory elements include a small surfboard, 2 walkie-talkies and a pair of binoculars. Beach buggy measures over 2” (7cm) high, 3” (8cm) long and 1” (5cm) wide. Beach tower measures over 3” (8cm) high, 1” (4cm) wide and 1” (5cm) deep. Shark figure measures over 2” (7cm) long.